Helena Knörr, Ph.D, is a professor in the Rowland School of Business. She launched Point Park University's Master of Arts in leadership degree and served as director of the program from 2006-2007. Currently, she teaches courses in the MBA and undergraduate organizational leadership programs at Point Park. An inveterate passionate traveler, Knörr worked several years in Spain and the United States. She holds a Ph.D. from the University of Minnesota, specializing in human resource development. In addition, Knörr serves as a reviewer and consulting editor for several peer-reviewed journals and professional organizations. Co-authored "Motivations and differences upon reconciling professional and personal life: An empirical study of businesswomen and businessmen in the Valencian Community," International Entrepreneurship and Management Journal, Sept. 2011. "Developing the female entrepreneur from a Human Resource Management perspective: Lessons from women who reached top management," International Journal of Manpower, 2011. Co-authored "Employee extra-role job behavior: A perspective from the direct and indirect consequences of supervisor's ethical leadership" published in Canadian Journal of Administrative Sciences, 2011. "Values, Ethics and Sustainable Development of Businesses," Second International Meeting in Entrepreneurship Development, Mexico City, Mexico, June 2014. "Emerging Leaders," Point Park University M.A. in organizational leadership program seminar, March 27, 2014. "Developing Women Leaders and Entrepreneurs," Red EmprendeSur international conference, Medellín, Columbia, October 2013. "Understanding the career development experiences of women entrepreneurs," 2012 Conference of the International Network of Business and Management Journals, Valencia, Spain. Presented workshop on "Women Entrepreneurs" at the Universidad Autonoma de Barcelona. Presented workshop on "Madrid Conflict Resolution and Negotiation Skills" at Universidad Politecnica de Madrid. "Young entrepreneurs innovate in Europe, what makes them different?" and "From employees to entrepreneurs: the relevance of virtues," 2010 Conference of the International Network of Business and Management Journals, Valencia, Spain. "Three pieces of advice from Mexico to the world," Forbes Mexico, June 29, 2014. "VII Workshop Medellín Un Espacio Para Emprendimiento Y La Innovación," TVNtucanal, Oct. 4, 2013. "Cuando emprender tiene apellido social," El Colombiano, Oct. 4, 2013. "Helena Knörr, Panelista del VII Workshop," Alfanoticias, Sept. 27, 2013. "Viva Una Experiencia Única. Global. Desde Su Casa," doinGlobal, October 2013. "Newsmaker: Helena Knörr," Pittsburgh Tribune-Review, April 4, 2013. "Point Park University sends professors to students," Pittsburgh Tribune-Review, Sept. 2, 2012. "A 'Lost Boy of the Sudan' Talks New Documentary," CBS Pittsburgh, April 17, 2012. 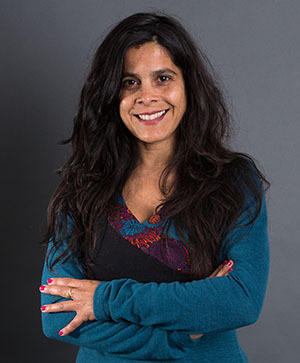 "Professor Serves as Wellness Instructor in Colombia, Gives Global Entrepreneurship Lecture to Universidad del Valle de México Students," Point Park University website, March 21, 2019. "Organizational Leadership Professor Presents at Portuguese BioEntrepreneurship Conference," Point Park University website, Jan. 29, 2019. "University in Ecuador Welcomes Back Organizational Leadership Professor Helena Knorr as Presenter," Point Park University website, Sept. 19, 2018. "Organizational Leadership Professor Leads Innovation and Social Entrepreneurship Workshop in Ecuador," Point Park University website, April 25, 2018. "South Sudan Native, Business Alum Recounts His Refugee Story at Center for Media Innovation," Point Park University website, Feb. 24, 2017. "Campus Event Focuses on Reintegrating Veterans into the Workforce," Point Park University website, April 13, 2016. "Professor Presents Workshops in Spain for International Women's Day," Point Park University website, March 25, 2016. "Catalysts for Change: M.A. Leadership Students Create Workshops to Improve Communities," Point Park University website, Jan. 11, 2016. "Leadership Professor Selected by Euroleague Basketball to Teach Yoga to Youth in Spain," Point Park University website, Jan. 11, 2016. "Organizational Leadership Professor Helena Knörr Presents in Mexico City," Point Park University website, June 30, 2014. "Point Park Professors Discuss Global Immigration Issues at Faculty Colloquium," Point Park University website, April 28, 2014. "Helena Knörr Teaches Students to be Agents of Change," The Point, Fall 2013 issue. "M.A. Organizational Leadership Student Honored by the PA Institute of Certified Public Accountants," Point Park University website, Dec. 5, 2012. "Assistant Professor Helena Knörr to Discuss Worldviews of Women's Education," Point Park University website, March 23, 2012. "Alumna Rachael Otieno Helps Launch Non-Profit in Kenya," Point Park University website, May 19, 2011.